Sell Folio Society books with WeBuyBooks! video games, CDs, DVDs and rare books by buying them off you. 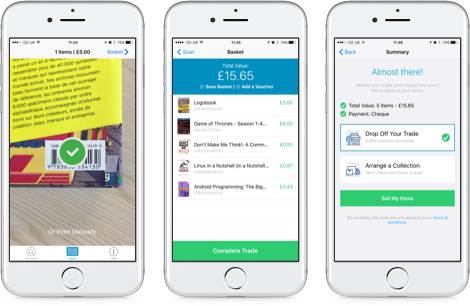 We also have a downloadable app for iOS and android devices, and the whole process is free using the WeBuyBooks courier service, meaning you can receive the payment for your rare books the very next day. WeBuyBooks will buy thousands of books every week including hardbacks, paperbacks, non-fiction and even textbooks. If you’re looking to sell rare books, they could receive even higher valuations. Want to sell used Folio Society Books? Then look no further than WeBuyBooks! We seriously love Folio Society books; we can’t get enough of the beautiful illustrations and how they add to the reading experience, making it extra special. But despite how special they are, any book can become lost on a jam-packed bookshelf. 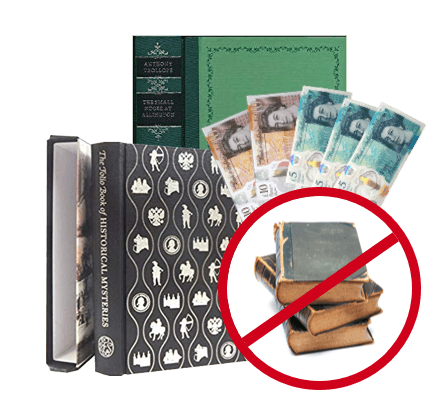 Whatever your reasons for wanting to sell your Folio Society books, you can exchange them for cash easily and quickly with us! 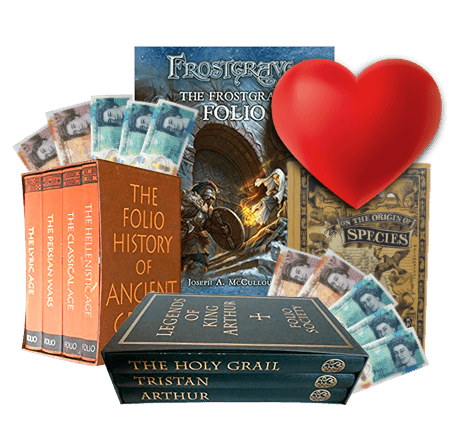 How do I sell used Folio Society books using WeBuyBooks? You may be thinking that finding out how much your Folio Society books are worth will be complicated and time-consuming, as they don’t have barcodes or ISBN numbers… but with our fantastically simple four-step system, it couldn’t be easier! Browse our extensive Folio Society book catalogue to find the book/books that you want to sell (our catalogue includes out of print and rare Folio Society books). Receive an instant valuation for your items. Package your books and post them with a prepaid postage label from us. Get paid! 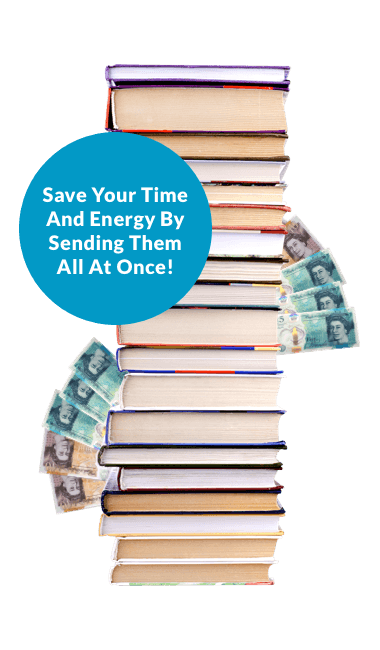 And if that doesn’t sound speedy enough, you’ll get paid the day after your books are checked – so you might not have empty space on your shelves for long! Plus, you don’t have to make multiple trips to the post office if you have lots of Folio Society books to sell, as you can package your items together and send them off in one fell swoop… saving you even more time and energy. What condition do my Folio Society books need to be in? We’re more than happy to accept your used Folio Society books as long as their beauty is still intact and they’re not badly damaged, stained or have missing pages. If you’re unsure about whether your books are in an acceptable selling condition, just head over to our item condition guidelines. It really couldn’t be simpler… if you’ve got a collection of Folio Society books that are being neglected, start exchanging them for cash with WeBuyBooks today! For more information on how to make money and sell folio society books using our app, please feel free to give our customer care team a call on 01706 248281. If you’ve recently used our service to sell folio society books and you’d like to give us some feedback head over to Facebook or Twitter.